Did the 1980s and 1990s see the death of planning? Exposing the myth that has grown up around Thatcherism, leading experts from a wide range of land-use policy areas examine the changes that were brought about in planning and the environment during the 1980s and 1990s, and argue that much less was achieved than expected. 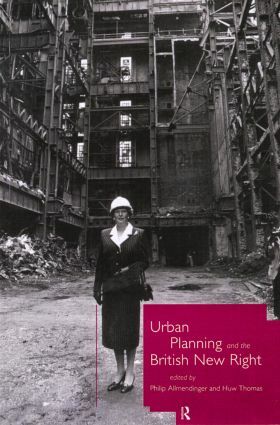 Urban Planning and the British New Right questions common assumptions about planning practices under Thatcherism, concluding that the complex relationship of power between central, local and national government requires a sensitivity to change that is inclusive rather than doctrinal. This is a book that says as much about the administration, institutions and processes of planning as it does about Mrs Thatcher's attempts to change it.